Samuel Smith, the first latter-day missionary, didn’t know it at the time, but his efforts ended up bringing into the Church two of its greatest leaders. What if you had to go on a mission alone﻿—no companion, no training at the Missionary Training Center, no missionary lessons to teach from, and only your testimony, the Spirit, and the Book of Mormon to help you? How would you do? Samuel Smith﻿—the first official missionary of The Church of Jesus Christ of Latter-day Saints﻿—did just that. Samuel, the Prophet Joseph’s younger brother, was 22 at the time of his first mission. As he walked alone into towns near Palmyra, New York, he carried only a knapsack full of copies of the recently printed Book of Mormon. When Samuel was 21, he went to Harmony, Pennsylvania, where his brother Joseph and Oliver Cowdery were translating the Book of Mormon. On 15 May 1829, just days before Samuel arrived, Joseph and Oliver had received the Aaronic Priesthood from John the Baptist and had baptized each other with that newly conferred authority. On 25 May 1829 Samuel was baptized, the third person in this dispensation﻿—following Joseph and Oliver﻿—to receive that ordinance. Later that year Samuel was one of the Eight Witnesses privileged to examine the gold plates. The next spring, on 6 April 1830, he was one of the six original members when the Church was formally organized. Others were also working to share the gospel, but in June 1830, Joseph set Samuel apart to be the Church’s first officially called missionary. The first day of his mission, Samuel walked 25 miles (40 km). He visited four homes, but no one wanted to buy a copy of the Book of Mormon. Hungry, tired, and discouraged, he stopped that night at an inn. Samuel asked the innkeeper if he would like to buy a copy of the Book of Mormon. “It was translated by my brother, from some gold plates that he found buried in the earth,” Samuel explained. The next morning Samuel gave a copy of the Book of Mormon to a poor widow who fed him breakfast. Then he walked 8 miles (13 km) and shared the Book of Mormon with John Greene, a Methodist minister, who took it only to see if others he knew might be interested in buying a copy. Mr. Greene’s wife, Rhoda, was Brigham Young’s sister, but Brigham had not yet been introduced to the Church. Later Mrs. Greene urged her husband to read the Book of Mormon too. He did, and they were soon baptized. That summer, the Young family, including Brigham, and their friends the Kimballs read the Book of Mormon and believed it. The first official latter-day missionary baptized no one and shared only a few copies of the Book of Mormon. Samuel didn’t know then that two of those copies would bring into the Church many faithful members, including Brigham Young, who presided over the Church from 1844 to 1877, and Heber C. Kimball, an Apostle from 1835 to 1868. Like Samuel, you can fill your knapsack with copies of the Book of Mormon. Then share them, along with your testimony. As Samuel’s brief mission shows, you may not always know who will be touched by reading the Book of Mormon. But you can count on Moroni’s promise: if people pray sincerely about the Book of Mormon, God “will manifest the truth of it unto [them], by the power of the Holy Ghost” (Moro. 10:4). —Elder Joseph B. Wirthlin of the Quorum of the Twelve Apostles, “The Book of Mormon: The Heart of Missionary Proselyting,” Ensign, Sept. 2002, 14. Lucy Mack Smith, History of Joseph Smith, ed. 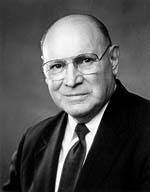 Preston Nibley (1958), 82. History of the Church, 1:44. The description of Samuel Smith’s first mission comes from History of Joseph Smith, 168–71, 187–88. History of Joseph Smith, 187. The description of Phinehas Young’s experience comes from S. Dilworth Young, “Here Is Brigham …” (1964), 50–52.